1-CD with 24-page booklet, 28 tracks. Playing time approx. 77 mns. After two decades of middling success, Narvel Felts suddenly hit the big time as a country artist in 1973. For the rest of the decade he was one of the best-selling artists in country music with R&B flavored hits like Drift Away, Reconsider Me, Somebody Hold Me, Lonely Teardrops, My Prayer, Funny How Time Slips Away... and others. They're all here. 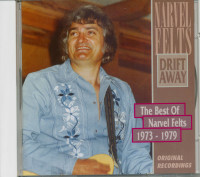 Nobody better deserved their success than Narvel Felts, and 28 of his greatest hits are here in one package. 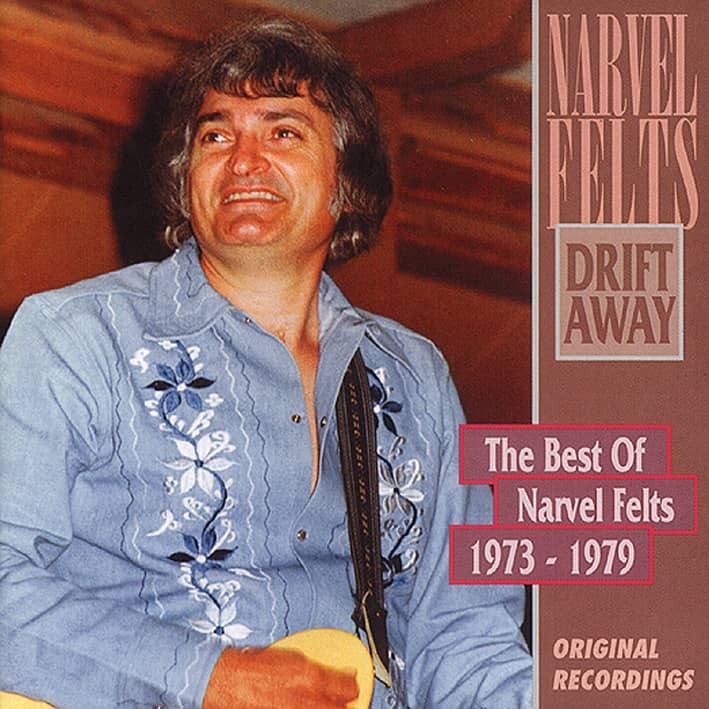 When his single I'm Just That Kind Of Fool entered the U.S. Country Charts in 1991, Narvel Felts achieved the distinction of having charted pop and country through five decades: the fifties, sixties, seventies, eighties and nineties. 'Cashbox' magazine gave him a colour cover to honour him as he joined an illustrious band that included George Jones and Conway Twitty. Narvel's greatest successes came in the seventies of course, but he had been working hard since 1956 to become an 'overnight sensation' in 1973. Born near Keiser, Arkansas on November llth, 1938, Albert Narvel Felts grew up in a farming background around Keiser and Shady Bend before moving to Powe, a small community near Bernie, Missouri where he attended the local high school. It was at this time that he entered a talent contest singing Blue Suede Shoes and Baby Let's Play House. His win led to a radio show on KDEX in Dexter, Missouri. A meeting with local bandleader, Jerry Mercer, found Narvel joining the Rhythm 'n' Blues Boys, performing local gigs in the bootheel of Missouri and the northern part of Arkansas, where he became the 'cat in the band' delivering the rockabilly and 'Elvisy' bits to the repertoire. 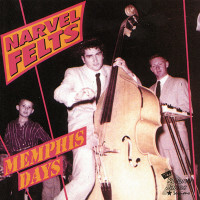 When Mercer left the band at the tail end of 1956, Narvel took over, renaming the group 'The Rockets' and took them to Sun Records in Memphis. After several sessions and no releases, he led them to Mercury Records in Chicago where a contract was secured. 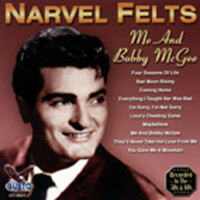 All the Mercury recordings from 1957 and 1958 are included in the Bear Family album 'A Teen's Way' (BFX 15232). In the ensuing years, contracts with Pink (Hi), Starline, Roland Janes and Hi, again, brought a lot of southern success and a little national chart exposure. 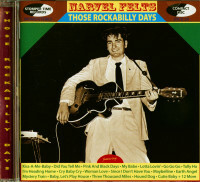 Narvel's recordings were always eclectic, some pop, some country, some rhythm 'n' blues, and some rock 'n' roll. with Drift Away, which gave him a #8 placing. Then the hits followed throughout the seventies, including the #1 Record of the Year in 'Cashbox' for the 1975 release Reconsider Me. SUMMER 1976 from left: STALIA, LOR NARVEL AND 'BUB' FELTS. When I was thirteen years old we still lived in Arkansas and I traded my BB gun for a beat up Gene Autry guitar that was held together with a Prince Albert tobacco can and some bailing wire. A year later, when I was fourteen, we had moved to Missouri and I picked cotton and ordered a new one from Sears & Roebuck for $15.98. Then in early 1956, I was seventeen at the time, I entered a high school talent contest at Bernie, Missouri. I sang Baby Let's Play House and when they wanted an encore there was a new song I had heard a few times by Carl Perkins, called Blue Suede Shoes. By chance there was a disk jockey in the audience that night from KDEX radio in Dexter, Missouri - his name was Weldon Grimsley, and the next day I was sitting at home listening to the radio, and they said "if Narvel Felts is listening please contact KDEX immediately". I ran outside and told my daddy what they had said on the radio. It was cold winter time and he had the water drained out of the radiator of his 1946 International truck. He put water in the truck and drove me eight miles up the gravel road to Bernie to the nearest phone, and I called KDEX an they said "bring your guitar and come on." I took J. W. Grubbs with me and they gave us a little Saturday afternoon radio show, live. A little while after that, on March 24, 1956, I ran across Jerry Mercer one night at the Fourway Inn in Dudley, Missouri. He got me up to sing and invited me to come to Pop Schmitzer's, near Malden, the next night and sit in with him some more and this led to a regular job in Jerry Mercer's band along about the spring of 1956. We played a lot of the local clubs in south-east Missouri, north-east Arkansas and some in Illinois and played a package show that summer with Roy Orbison when Ooby Dooby was his current record and Go Go Go the B-side of it. Eddie Bond and The Stompers were also on the show and Eddie 's record on Mercury at the time was I Got A Woman and Rockin ' Daddy. During 1956 from the spring until about mid December I worked with Jerry Mercer and I would play the slap bass when he was singing and he would play it when I was singing. We would trade and both of us played. I would play rhythm guitar when I sang and he would play rhythm guitar when he sang. During this period of time we did that show with Roy Orbison and Eddie Bond at Dexter, Missouri, and within a couple of weeks after that show I wound up with an audition with Sun Records. Calvin Richardson, who was my manager and a Dexter music store owner at the time, told me that Roy was going to help him get an appointment at Sun for me, so Leon Barnett and I drove down in my Chevrolet to Sun. It was very hot summer-time, probably August or early September, when we auditioned for Jack Clement. Jack told us to write some more songs, bring the whole band back. However, we did not wind up doing that until early 1957. In the meantime, in December of 1956, Jerry Mercer got married and decided to quit the music business. 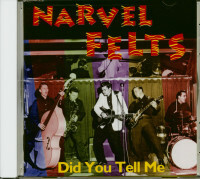 The band now became 'Narvel Felts and the Rockets'. n April. I had felt like there were three sessions but the Sun session book doesn't confirm that. They say that the following session was in early April of 1957 and it would probably have been the one that produced My Babe. I remember at the first session Roy Orbison was in the control room with Jack Clement. Conway Twitty was still Harold Jenkins and had a chair pulled up by my microphone in the studio, listening to me. I had met Jerry Lee Lewis at Taylor's cafe next door that morning, and Johnny Cash came in at the front office and watched us for a little while that day. I remember that at the session when I recorded My Babe, I said the line, "when she's hot, there ain't no coolin,'“ I remember Jack Clement and Roy Orbison had their heads popping around, looking at each other kind of in surprise when I said that, like it was a sort of shocking line at that time. After I'd finished the last session at Sun, Jack Clement said "well think we've got a record here. It may take about a year to get around to releasing it because we've got so many in front of you." At the session when Conway Twitty was also there, Roy Orbison called Conway and myself off in a corner, and said, "Boys, if I were you, I would look elsewhere for a label. That's what I'm going to do when my contract's up, because Sam's not interested in me, he's not interested in you, he's not even interested in Perkins. He's only interested in Cash and this new kid, Jerry Lee Lewis." In early March of 1957, I was playing the Fox Theatre in St. Louis and Fred Varney, who had some connections with Mercury Records in Chicago, wanted to take us to Chicago to audition for Mercury. At that time I still was recording for Sun. We were at the Fox Theatre playing, I believe it was probably three shows a day, possibly more, with the movie 'Rock Pretty Baby'. We did not go to Chicago at that time, but a little later, after we had done the other session for Sun and Jack had said, it would be a year before they could release anything. I was doing another tour of theatres in Illinois and we were playing in Lichfield, Illinois, I believe two nights off in between, Fred Varney came by again. He had had a man named Cliff Mantle book those theatres and they were kind of partners in the business. Fred had a printing company in St. Louis. He offered again to take us to Chicago and this time we took him up on it. He took us to 35 East Wacker Drive, just walked in the Mercury offices with us and the band, so the people were saying "what are you doin', bringing a band in here like this...? " Anyway, they finally decided to listen to us and so we brought the equipment up and sat in the office with no microphone, and Art Talmadge walked over and stood near me where he could hear my voice over the band. I was kind of singing in his ear. We did a couple of songs and he said send them on down to Universal Studios to record. We went down that afternoon and recorded until probably midnight after taking supper break, and wound up recording ten songs. Within a month my first record Kiss-A-Me Baby and Foolish Thoughts was on the market. I believe it was the 10th ofJune, 1957. 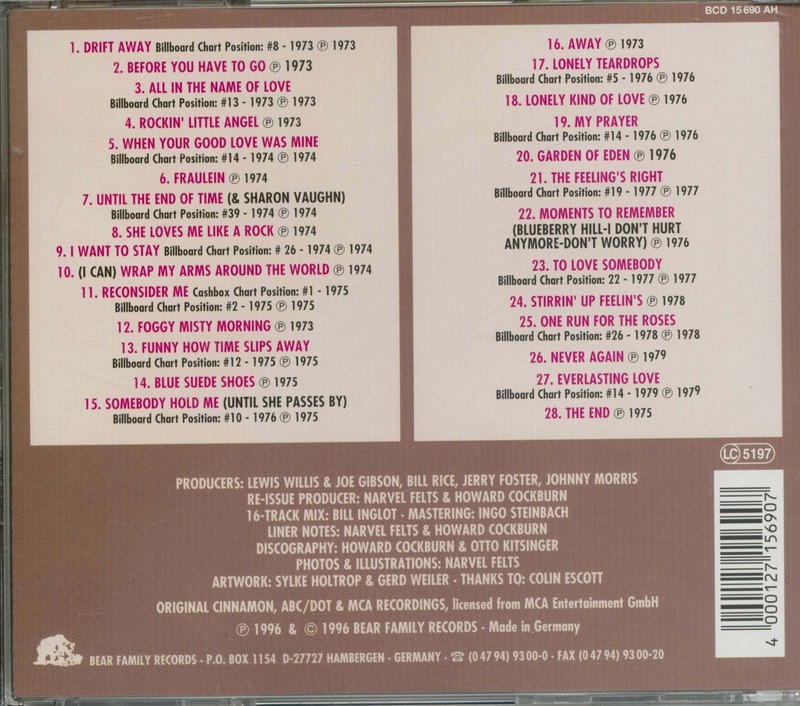 Customer evaluation for "Drift Away - Best 1973-1979 (CD)"